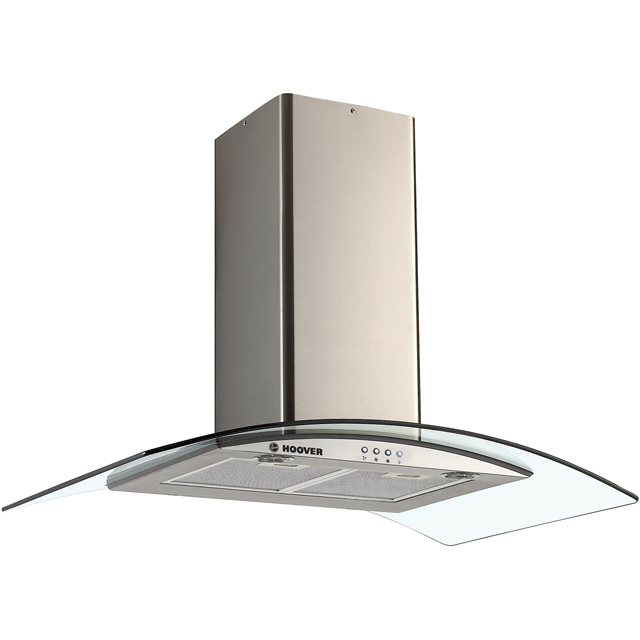 Effortlessly tackle lingering cooking odours with this chimney cooker hood from Hoover. It’s 90cm wide, so it works well above a larger hob or a range cooker. And, its maximum extraction rate of 525 cubic metres per hour will easily clear the air in a medium-sized kitchen. So no matter how pungent your dish, you won’t be smelling it long after you’ve eaten it. This model has a medium noise level of 65dB, a similar volume to a lively conversation. And, it features an LED light, which can be operated using the simple push button controls, to illuminate your pans as you cook.